Need some shows a bit earlier in April to fit in with the Easter holidays. Does the VIP upgrade include the soundcheck and early/priority access to the show? There doesn't seem to be any details about the meet and greet in the Iridium ticket link posted here. What does the meet and greet include and how/when would we find out about meet and greet/soundcheck times, if included? Does the VIP upgrade include the soundcheck and early/priority access to the show? You'll need to check with the venue, as they organizing the M&G for these two shows. 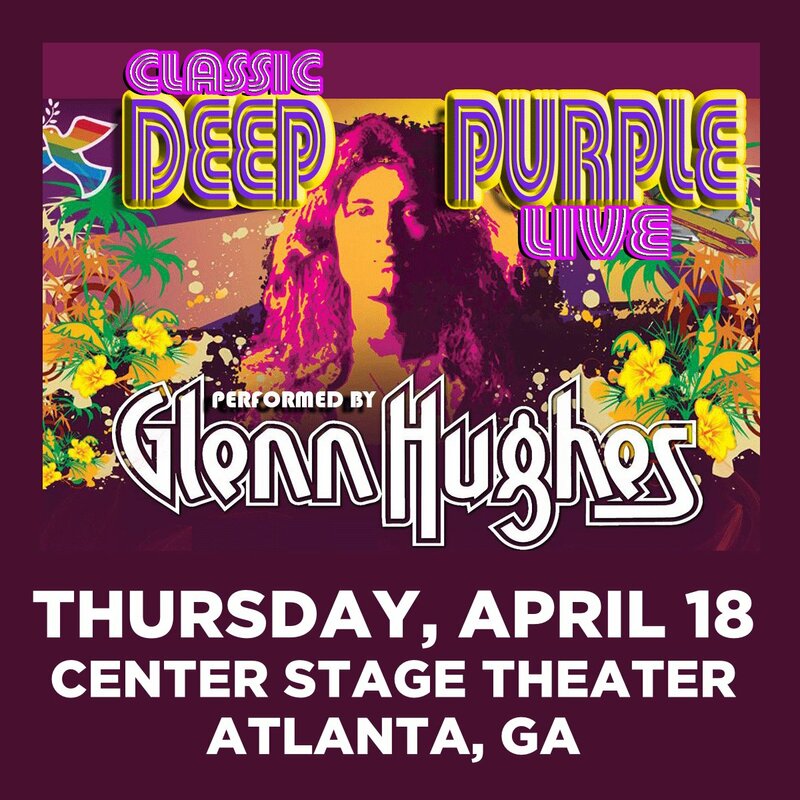 Glenn Hughes in the Midwest - USA ! I just received notice that Glenn will be returning to the Arcada Theatre in St Charles, Ill on Friday, May 3rd, 2019!! Just got my tickets on the presale!!!! Glenn mentioned that he will return to Finland in March. Any news on that? ...as of today, no update. Public Sale begins December 21st, 2018 at 10:00AM ET. PreSale: 1/9/19 from 10:00AM ET thru 1/10/19 10:00PM ET, follow the ticket link - presale code is SMOKE - Meet 'n Greet available as an Add-On to your ticket, select it during checkout. Public Sale: 1/11/19 begins at 10:00AM ET. Just curious: is it still in the works for the Classic Deep Purple Live tour to visit Canada - particularly Toronto - in 2019? The tour schedule looks pretty full for April when it was previously mentioned to be planned (https://omny.fm/shows/rock-talk-with-mitch-lafon/scorpions-glenn-hughes-and-tower-of-power). Sorry, I don't want to miss out on this tour and the next closest/best option would almost certainly be New York City (which still has some tickets available).